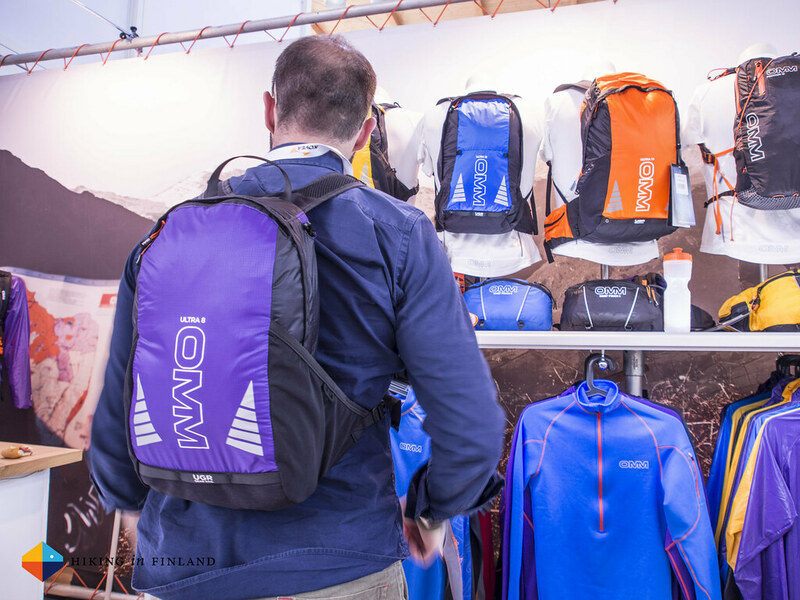 More new kit for trailrunners, lightweight backpackers, mountaineers, climbers and outdoor lovers from the world’s biggest outdoor fair! 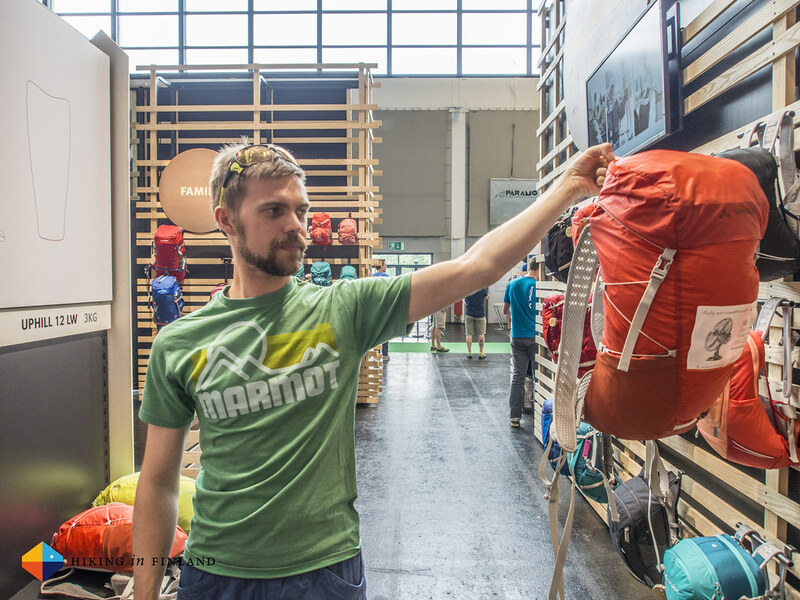 Marmot had a wide range of new kit on the show so lets dive straight in. 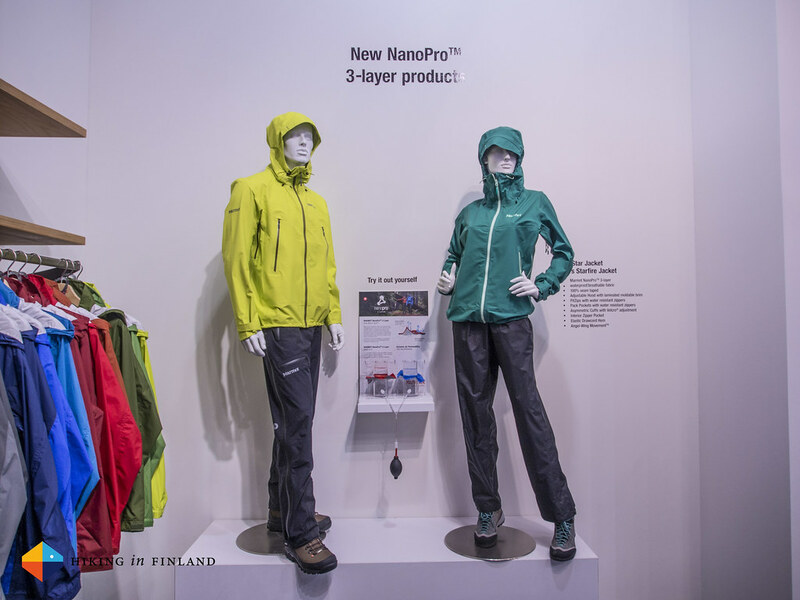 The Red Star Jacket for Men/ Starfire Jacket for Women is the first 3-layer jacket to incorporate the exceptionally breathable, very robust and waterproof NanoPro™ membrane. It’s very stretchy, 100% seam taped, has a fully adjustable hood with a laminated brim to keep your sight dry, and will weigh 425 g. The Red Star Pants has 3/4 Length Water-Resistant Side Zippers and will tip the scales at 470 g and should make for a breathable & waterproof combo which keeps you dry in heavy rain. 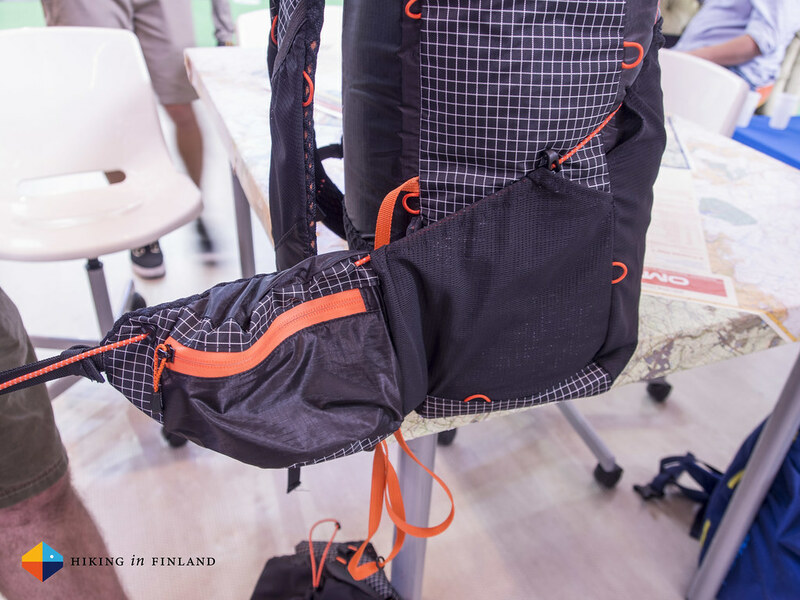 The Graviton 38 backpack weighs 1.080 g and comes with a ventilated suspension (carrying) system. The series - there’s four different sizes in total - features a single-piece aluminum uniframe which should have good load stability and features soft pads in the shoulder and waist areas for improved carry comfort. 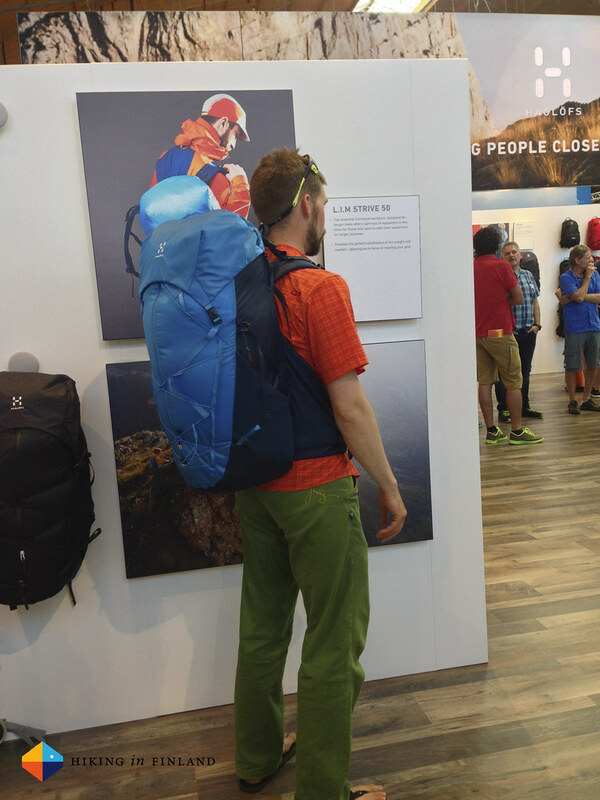 Compression straps on the sides and base, trekking pole attachment and several easily accessible pockets round out this pack. 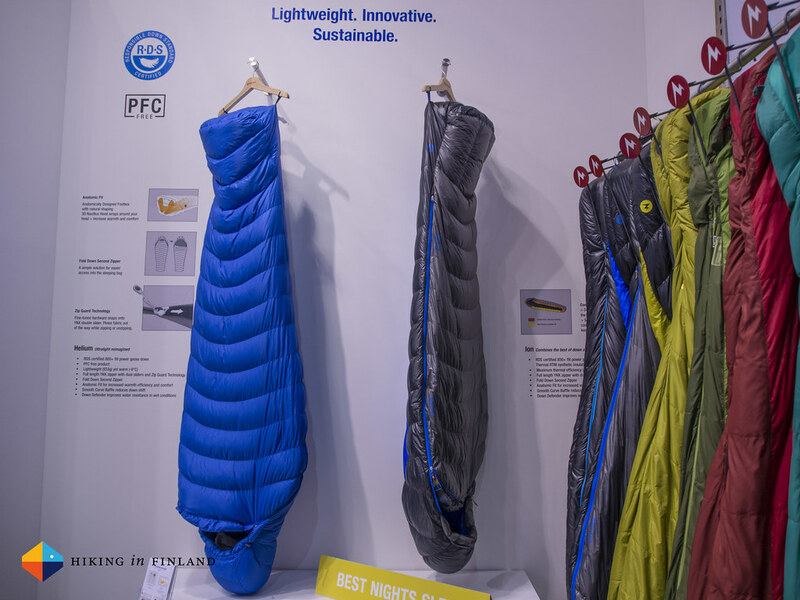 The Helium Sleeping Bag tips the scales at 935 g in Regular length and is filled with 560 g of hydrophobic, RDS certified down, which should keep you toasty till around -9°C Comfort. Really cool was the “Fold-Down” second zipper on the right which provides more ventilation and easy access. 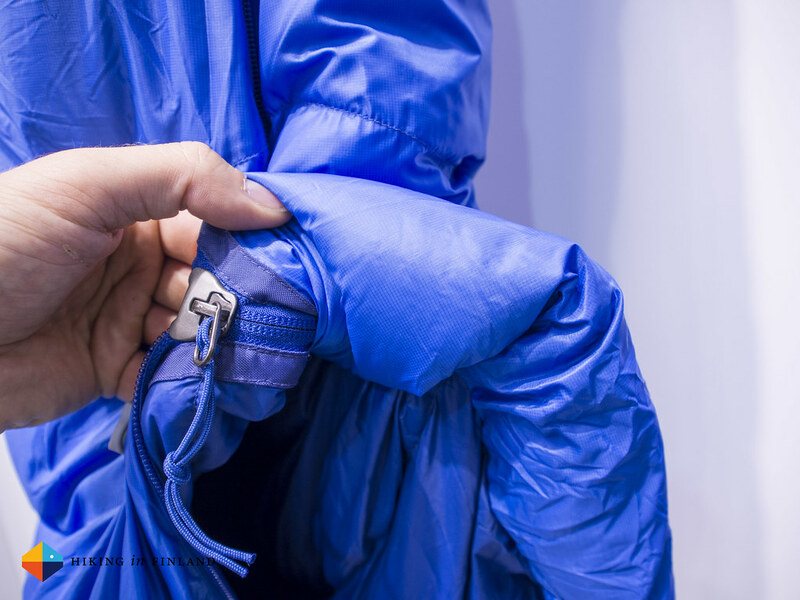 The Full Length Locking YKK Two Way Zipper has a Zip-Guard Slider which prevents the lining from getting stuck in the zipper, which solves a common problem in (sleeping bag) zippers. 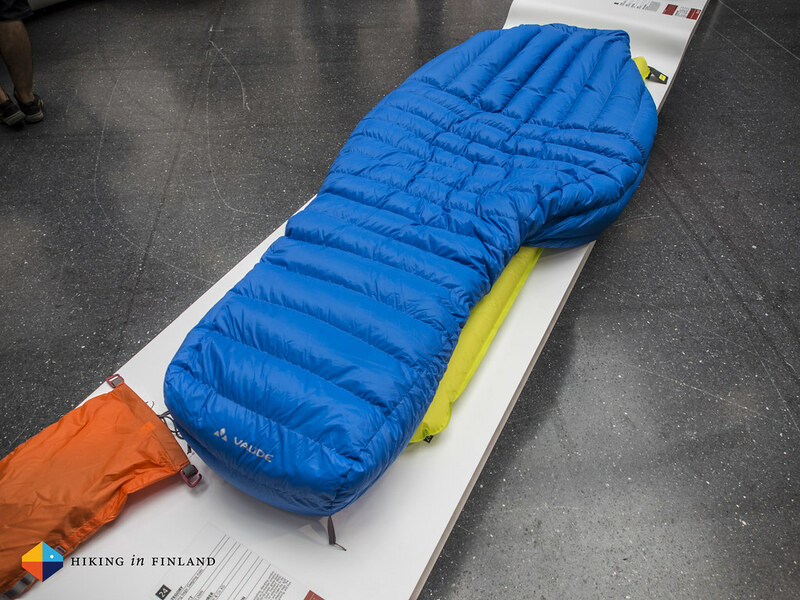 Overall a nice looking sleeping bag. The Vapor FC 2P is a 2.520 g 2 Person tent with a size of 107 x 137 x 224 cm and a spacey vestibule. The doors got bigger for easy access, a lamp shade pocket in the roof lets you read at night without a headlamp on and the color-coded pole clip system makes it easy to pitch. It looked like a nice 3-season tent for couples, but there’s also 3 and 4 Person tents available of the Vapor for families and small groups. In the climbing garments corner there were lots of clothes for your favourite pastime. 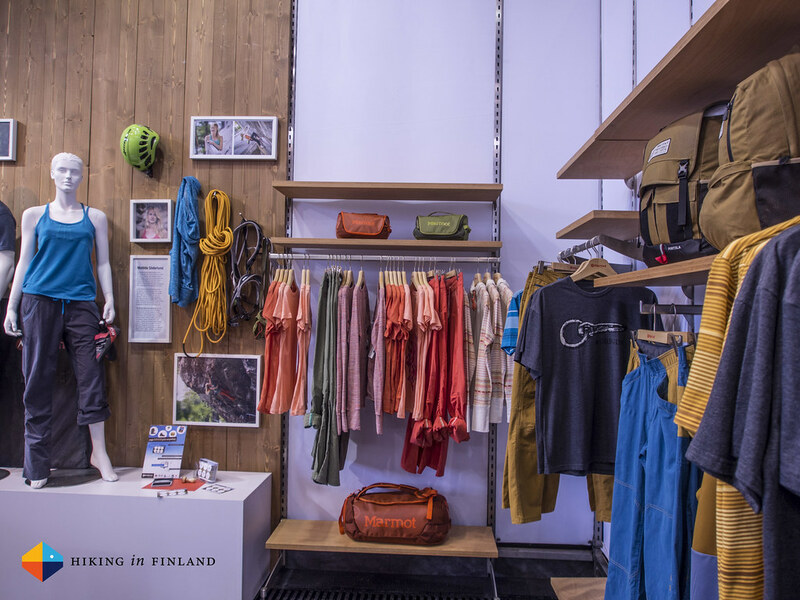 Cool designs in combination with functional & stretchy materials make for sweet shirts, pants and hoodies to hit the crag in. Add in a new climbing pack called the Gear Hauler and you have all you need for a fun day climbing. 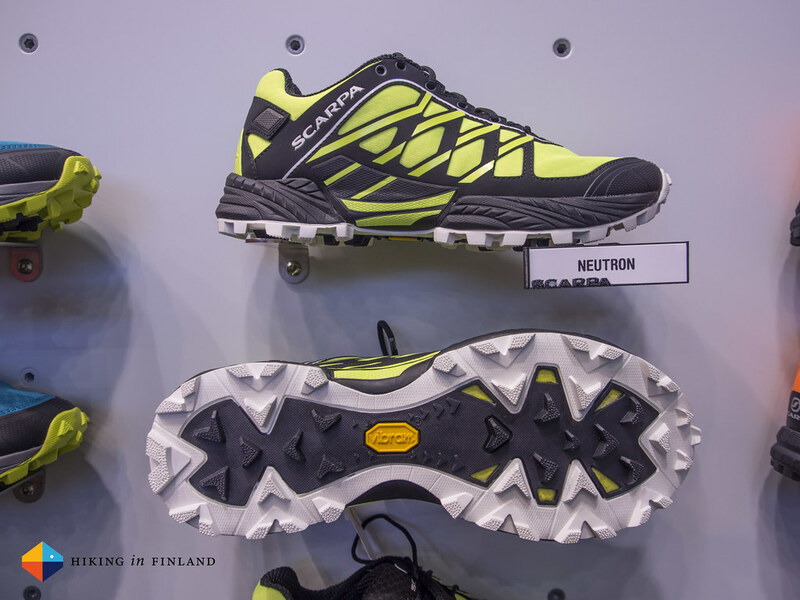 Wow, I really was surprised by all the new shoes from Scarpa! Lots of trailrunning/ ultralight backpacking shoes from them, and I found they actually looked good! 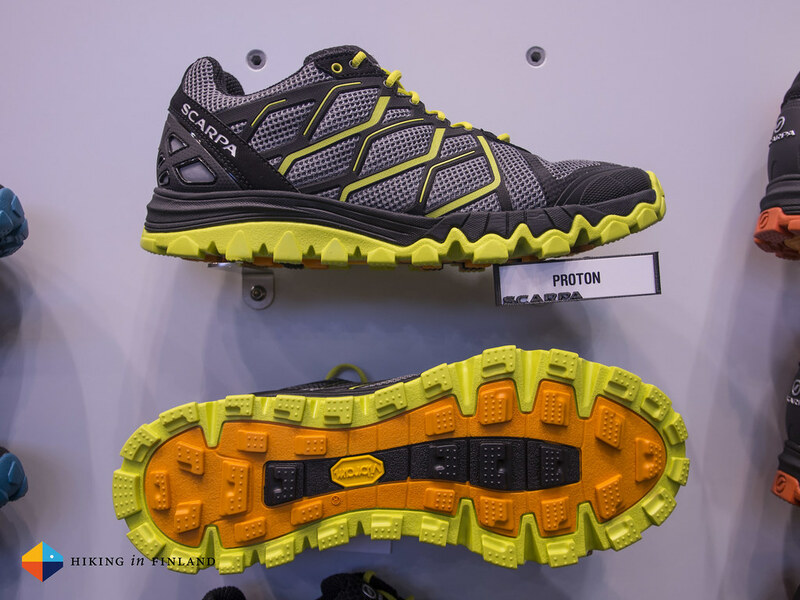 The Proton is a shoe made for heel strikers which gives you good support on long runs. Will weigh around 360 g per shoe and has a Vibram® Genesis sole and lots of cushioning in the heel. Genetic Lite reminds me of a trailrunning shoe I have used a lot. 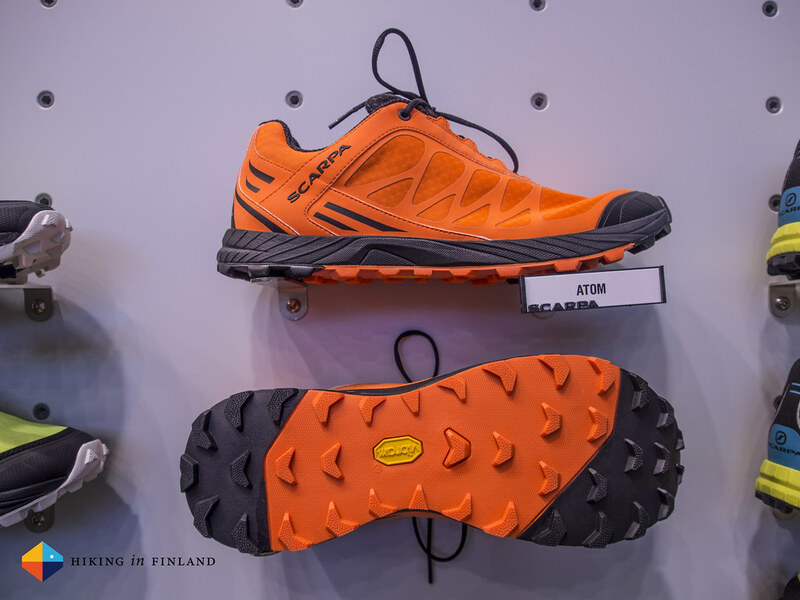 Scarpa says it “Created for athletes with a perfect running style who weigh less than 70 kg, they will find this shoe is very reactive and it suits the athlete who favors a running style based on the toes”. Well, if that doesn’t sound like a great shoe for me, I don’t know! Add in a breathable mesh upper and you will have a shoe which could become very popular. 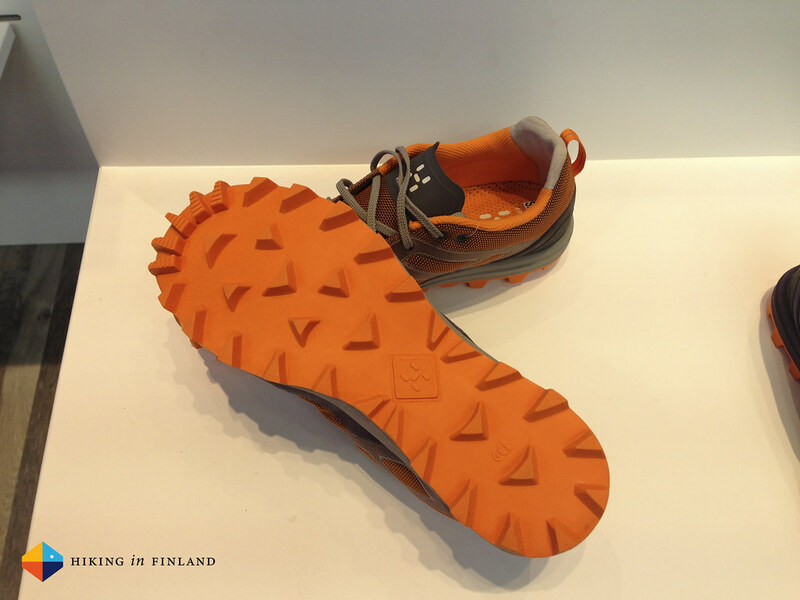 The Neutron weighs 295 g and has a Vibram® Genetic sole that should give good grip on any kind of wet or dry terrain. It’s available as a fabric version, a special Women’s version and for Winter runs even as a Gore-Tex lined shoe. Still light enough for UL backpackers, but with more support and cushioning. 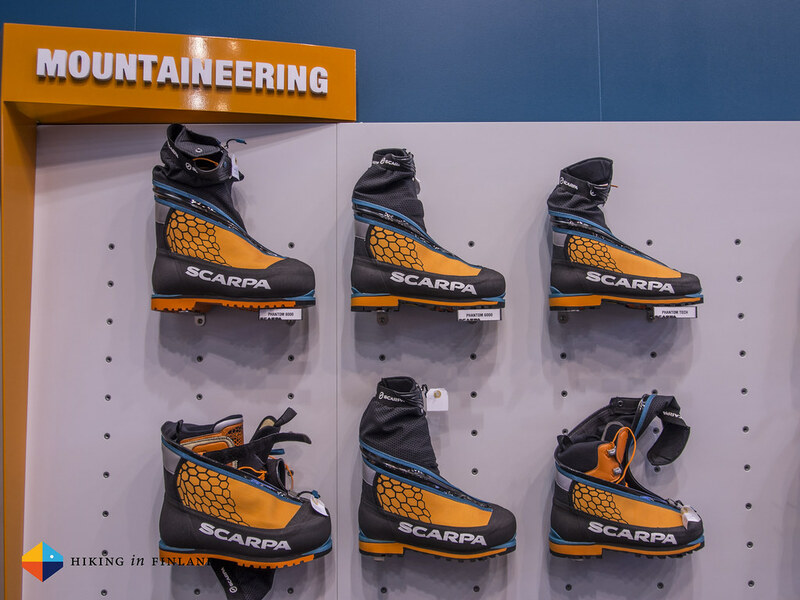 The Scarpa Mountaineering boots aka the Phantom Line is awesome. 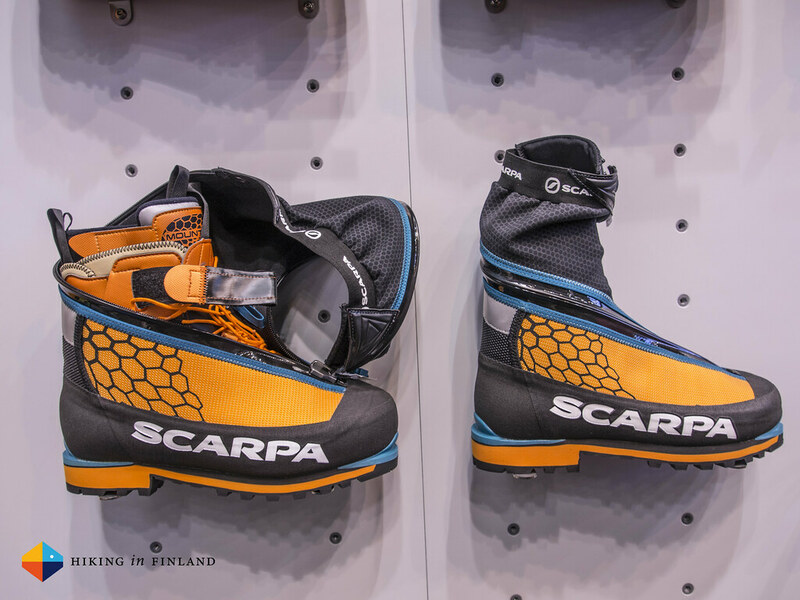 It’s designed by Ueli Steck which means this are the boots that Ueli designed and uses himself - be it climbing Annapurna or on his 82 Summits project. There’s three new boots and they all feature the new zipper which runs around the shoe. It looks cool but I am a bit wondering how practical it will be in use when you need to pull a zipper behind your leg, and of course such a long zipper also adds weight and complexity aka a place where it can fail. 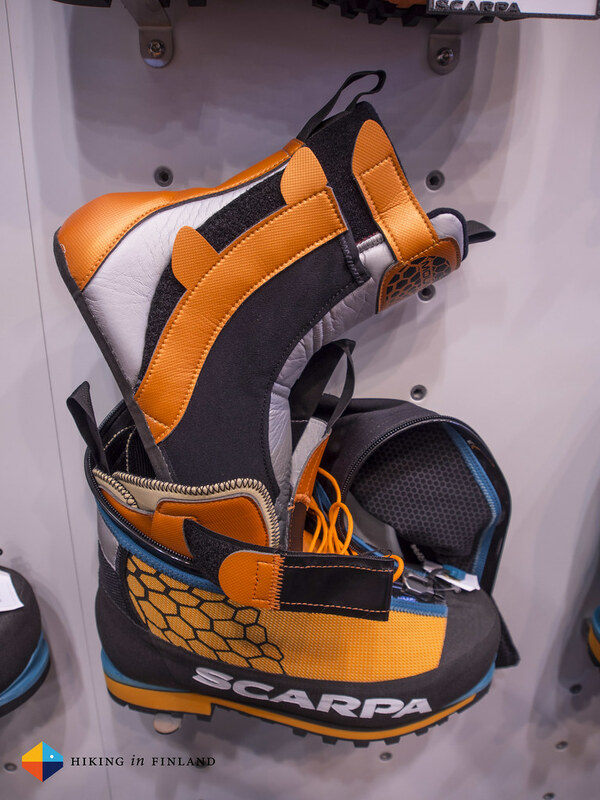 Scarpa writes that the “innovative “orange peel-like” closure with Flexseal® Waterproof zip avoids any inconvenience to the ankle movements” so I guess it will have a benefit. Anyway. , which I like as I find OutDry better working as Gore-Tex. 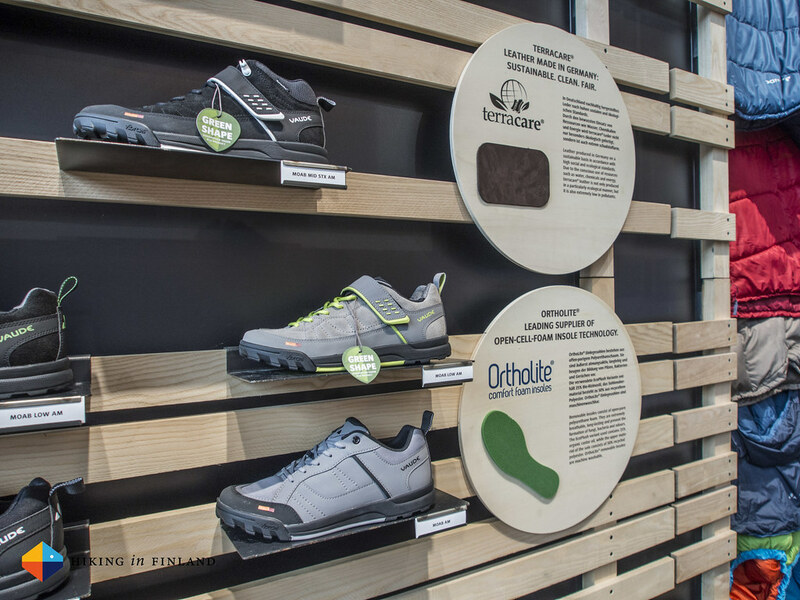 All three boots also have a Carbon insole and a Vibram® Gravity sole. The Phantom Tech is the lightest boot at 830 g per boot and also the least warm, but as it has a Primaloft® insulation layer I have no doubt that it will be a great alpine climbing/ ice climbing boot (in the photo underneath is the Tech on the right and the 6000 on the left). The Phantom 6000 and 8000 come with a removable liner boot that has a Primaloft® lining and a 4 mm thermo-insulating EVA sole. The 6000 is made for peaks up to 6000 m and weighs 995 g per boot while the Phantom 8000 is made for the highest summits of the globe and weighs 1310 g per boot. The hole line looked sweet, curious to try out the Phantom 6000 in the Karakoram in the future! 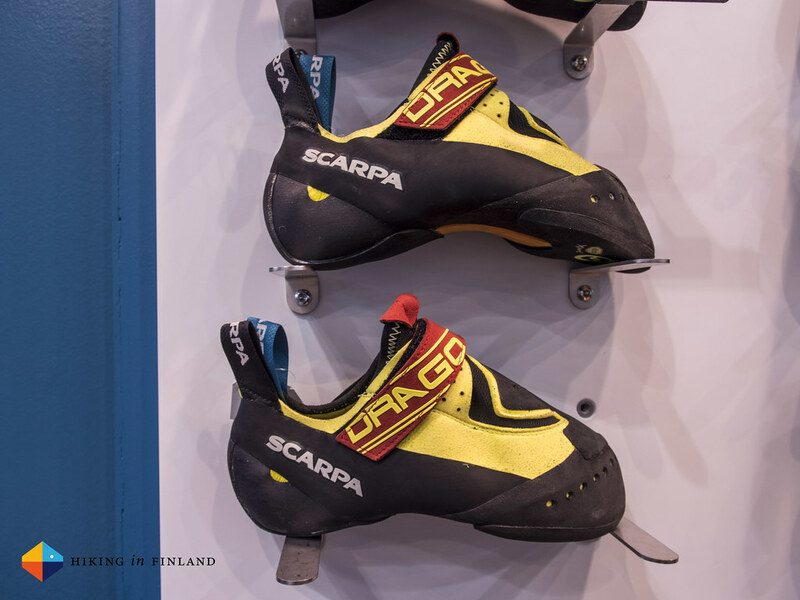 And then there’s Drago, the new climbing shoe. Made for bouldering, hard sports climbing indoors and outdoors the Drago is close in design to the Furia but has a Velcro strap for a good fit. The rubber on the upper goes really high for sticky toe hooks. The shoe is soft and gives you good control on small ledges and difficult placements. Haglöfs is a big company with many lines so it’s always a bit difficult to grasp all the new gear, especially as there’s so much new interesting kit. 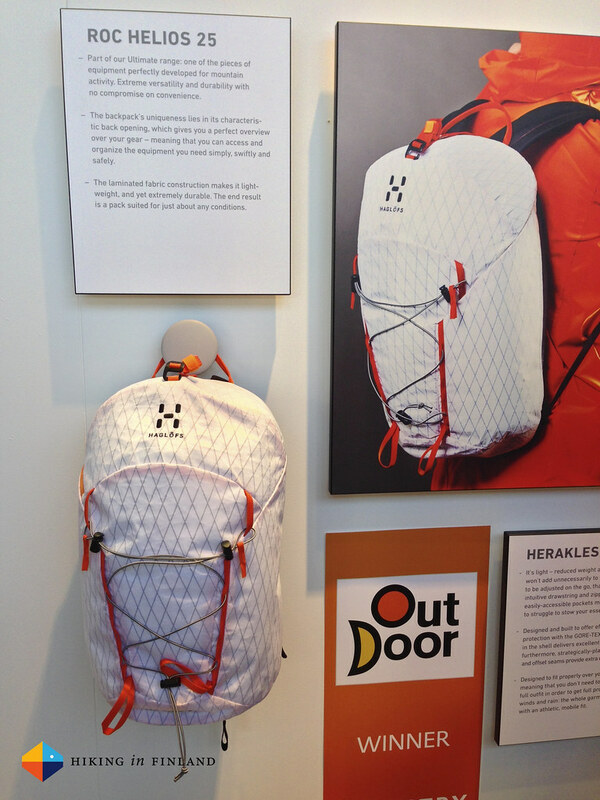 The Roc Helios 25 backpack is an OutDoor Award winner that’s made from XPac and has a back opening to access your gear. 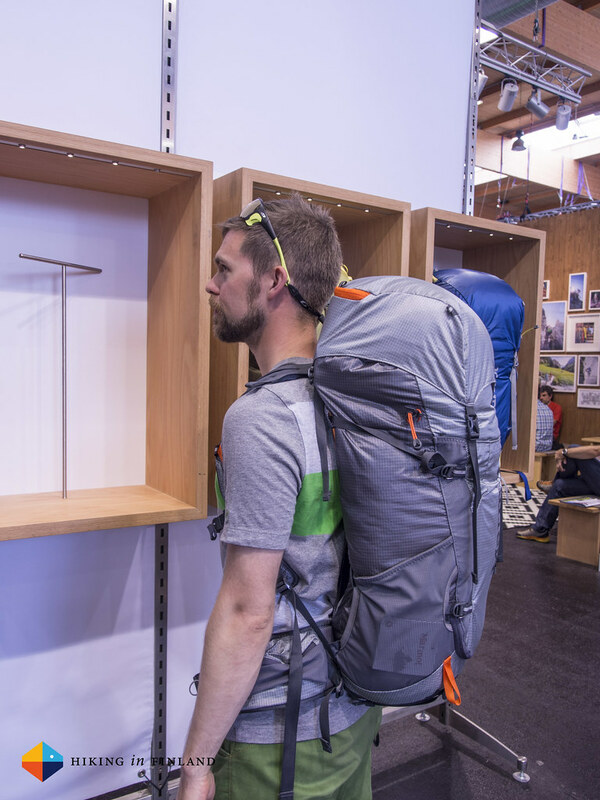 It’s made for mountaineering so has all the details you want from a rucksack for the mountains, but should do well when abused for backpacking, too. No info on weight, sorry. 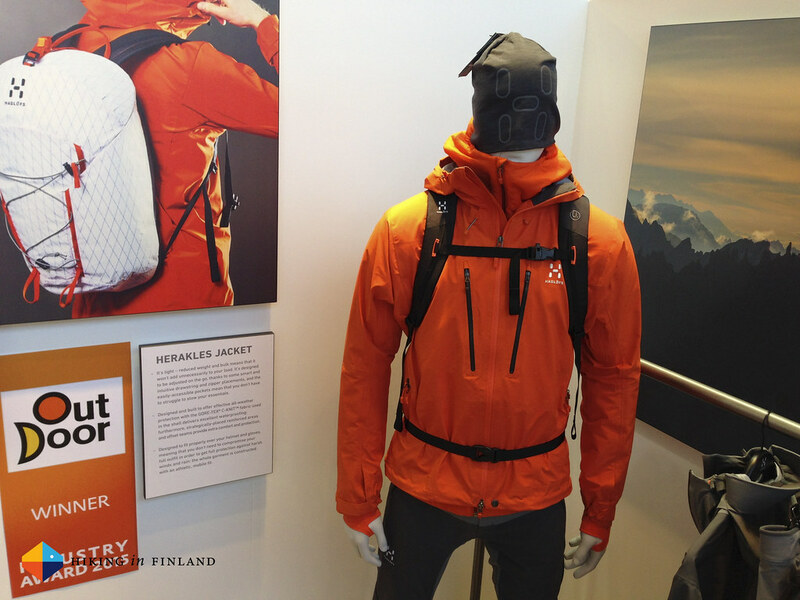 The Herakles Jacket is 455 g in Size L and made from a 3-layer Gore-tex with the new CKnit backer. 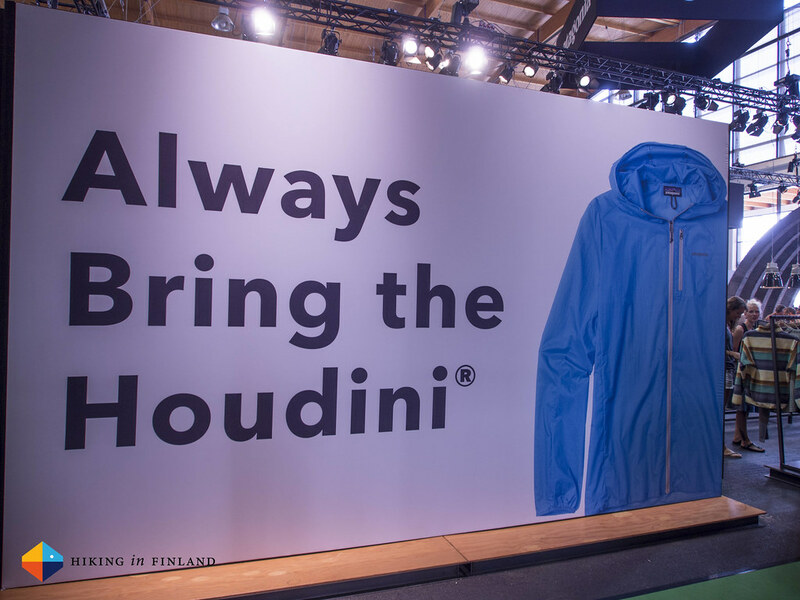 It’s a mountain jacket with a helmet-compatible hood, an articulated design for freedom of movement and high pockets. The Gram Pulse trailrunners - the Women’s model is in the photo - will weigh 215 g for a Women’s shoe and 260 g for a Men’s shoe. The sole pattern looks familiar and thus should be good, and on top there’s non-absorbing fabrics which should maintain a low weight in wet conditions. And then there’s another backpack, the LIM Strive Backpack. Can’t give the weight on this pack either, but it felt light for being a 50 l pack. The front zipper makes for easy access to gear, the lid can be removed for more weight saving. The hipbelt pockets were pretty big, made from a stretchy mesh and looked great, and the material is bluesign certified 100HT Robic™, which also some cottages use for making their packs. 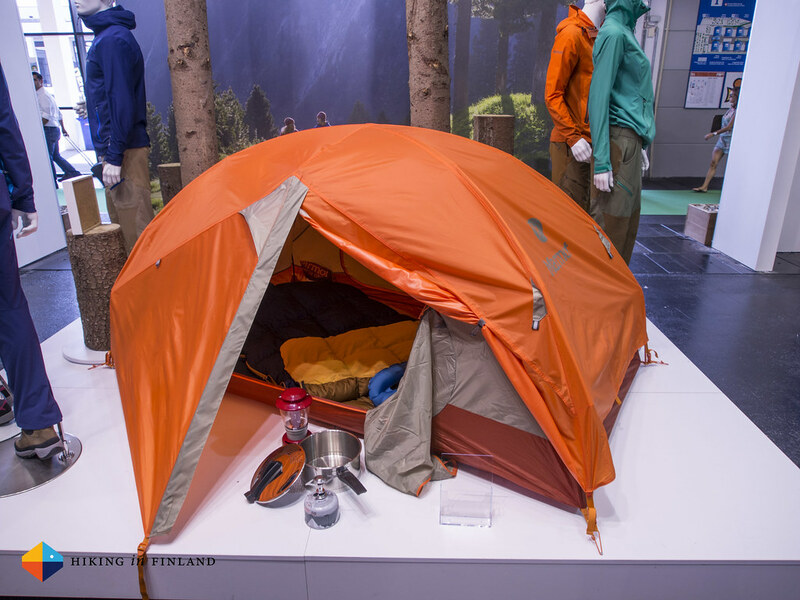 I’m pretty psyched about the biggest news for backpackers from Vaude, and that’s the Alpstein 450 DWN quilt. Why? Well, I’m pretty proud that Carsten and me helped during the development of this quilt. We both have tested early prototypes and gave the designer a lot of feedback on what we liked and what could be better. I think I’ll give some insights on this quilt further down the road in a separate post, but the cool things are: 450 g of RDS certified down in the Alpstein 450 DWN (200 g in the Alpstein 200 DWN), total weight 750 g (550 g), and a unique attachment system which allows you to attach the quilt pretty easily to any sleeping pad. Oh, and it’s pretty cool that the quilt won a OutDoor Gold OutDoor Award, too! 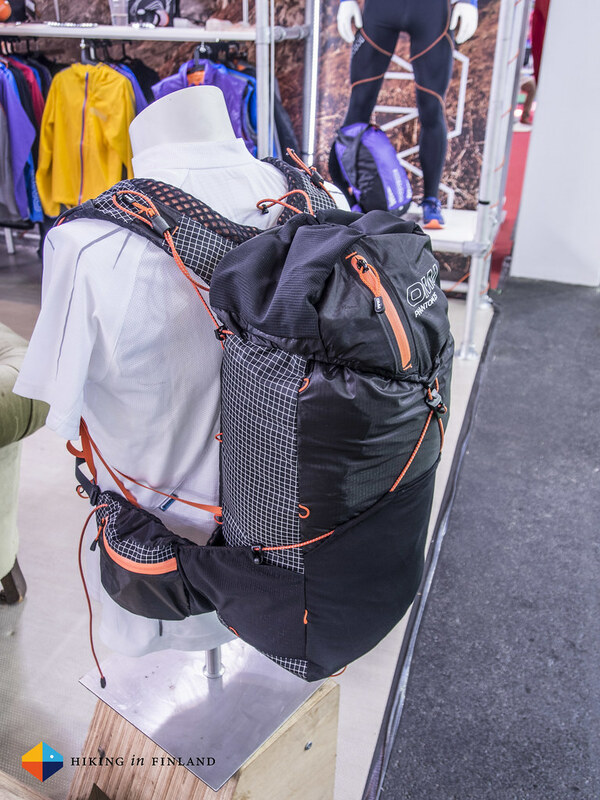 Then there’s the Citus 24 LW Backpack, a 500 g 24 l Volume pack that’s made from a siliconizied 40 D Rip-Stop. Special is that is has a Aeroflex back panel which should keep you dries aka less sweaty on your summer hikes. It has a zippered lid pocket, mesh side stretch pockets and a compression system that also lets you carry wet gear on the front. 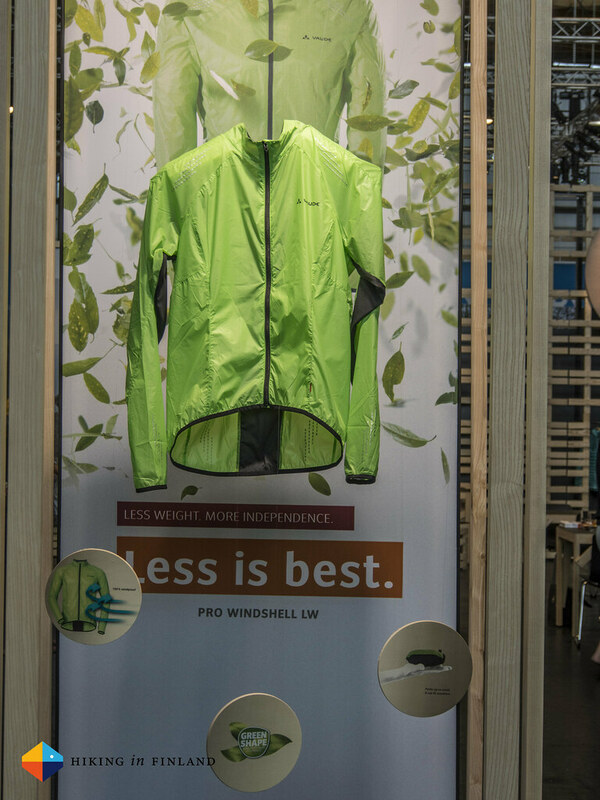 The Pro Windshell Jacket weighs less than 80 g and is a cycling windjacket which packs tiny when not needed. Reflective details, long back, stretch inserts on the sides for freedom of movement and breathability and a PFC-free Eco Finish water repellency treatment that makes it water-resistant, its a wind jacket you can wear cycling or when out on the hills. And as we’re already talking cycling the Moab Low & Mid Flatpedal shoes are environmentally friendly made flat pedal cycling shoes. The Moab Low AM and Moab Mid STX AM fulfil the strict Vaude Green Shape criteria and still will perform great on the trail. A great move to get a difficult product likes shoes fulfil this standard, and I hope we’ll see more of this in the future, also from other manufacturers. 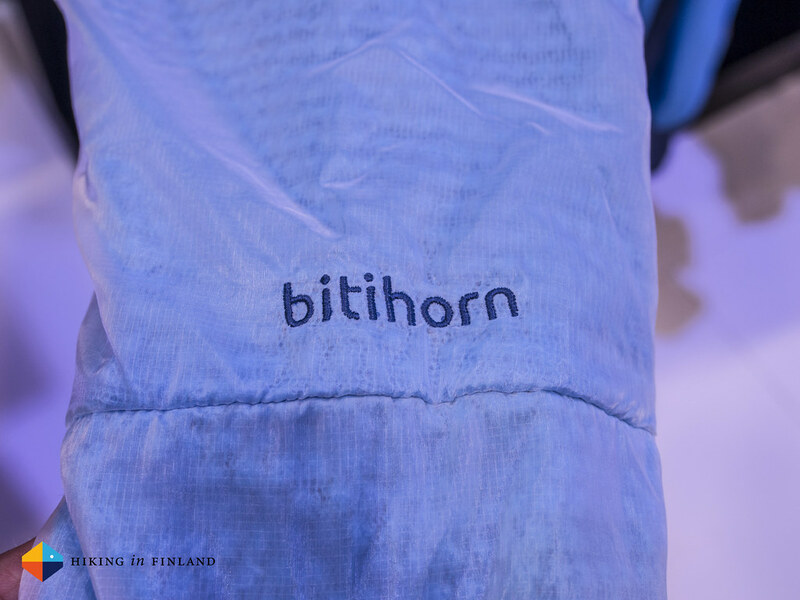 The news from Norrøna included the bitihorn alpha60 Jacket which is a 250 g insulation piece that’s filled with Polartec Alpha. The shell is wind and water resistant so it also can be worn on its own, but it should be a good midlayer, too. Now available is the fjørå line for Women (Men’s have been available for a while already). These are really great for riding on single track trails or shredding down hills, made from good materials and give good wind protection but also keep you cool on the uphill. 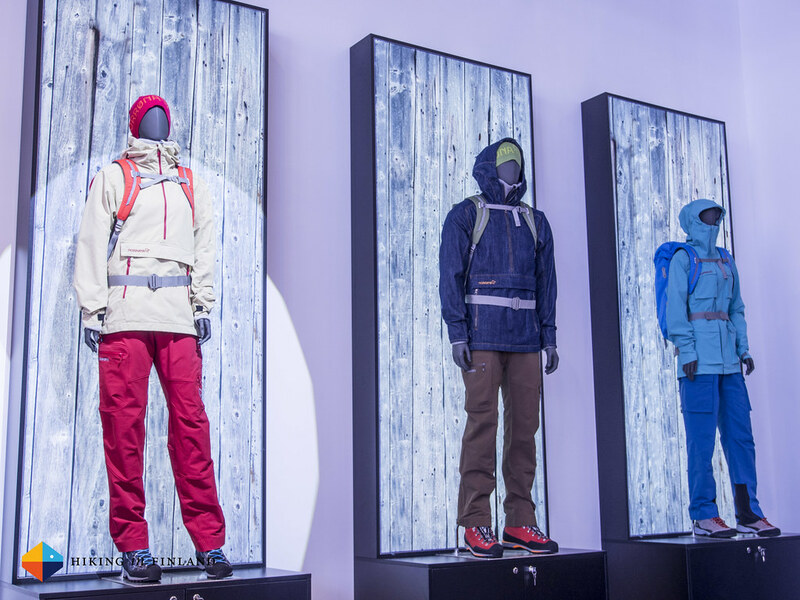 Lifestyle lines were a big trend at the OutDoor, and it’s understandable. 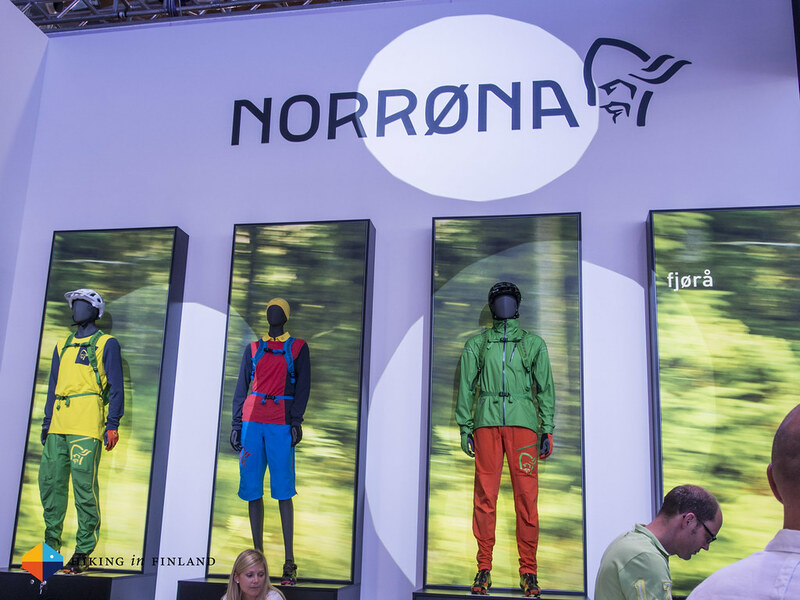 Norrøna’s 29 line is very stylish and a mix of technical and functional fabrics. There’s a cool limited edition Denim Anorak which will make you stand out at the camp fire or in the office. 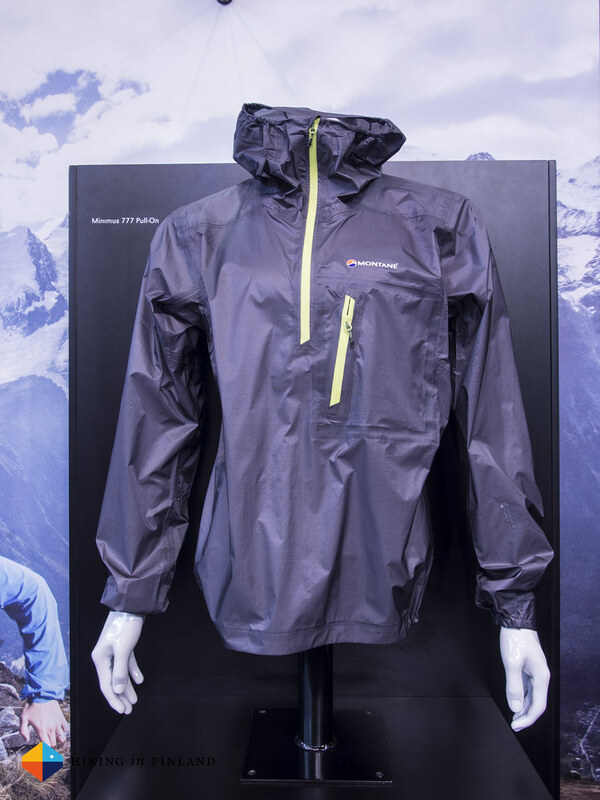 I only had a brief visit at Montane so can’t give all the details on the lightweight new kit from them - which is a shame, as they had a very cool looking cuben fibre pack on display! But what I saw and tried were the new Ultra Tour packs, which did remind me design-wise from a now bankrupt lightweight company from the USA. Which isn’t bad, as that pack has been super popular. The Ultra Tour is available as a 22, 40 and 55 l volume pack, which will weigh 540 g, 725 g and 840 g respectively. There’s a roll-top closure, large stretch side pockets, a Comfort Vent Back Pad and Contact Air Mesh shoulder straps which will keep you cooler on long hikes with heavy loads, hip pockets and a front pocket/ compartment. These looked very good and if priced right (= affordable) these could become great entry-level UL packs. The Minimus 777 Pull-On is a 134 g hardshell that packs tiny and should be very breathable. The construction is of a very high quality that’s made to last, and in orange it also looks really sweet. As I said, a shame I didn’t snap photos of the other new kit, as with the ultra alpine 38 + 5 (a 547 g alpine climbing pack with a sweet design), the hyper tour 38 (a 639 g cuben fibre hiking pack that can be stripped to 478 g) and several great garments there would have been plenty of interesting kit for lightweight backpackers, Alpinists and trailrunners! 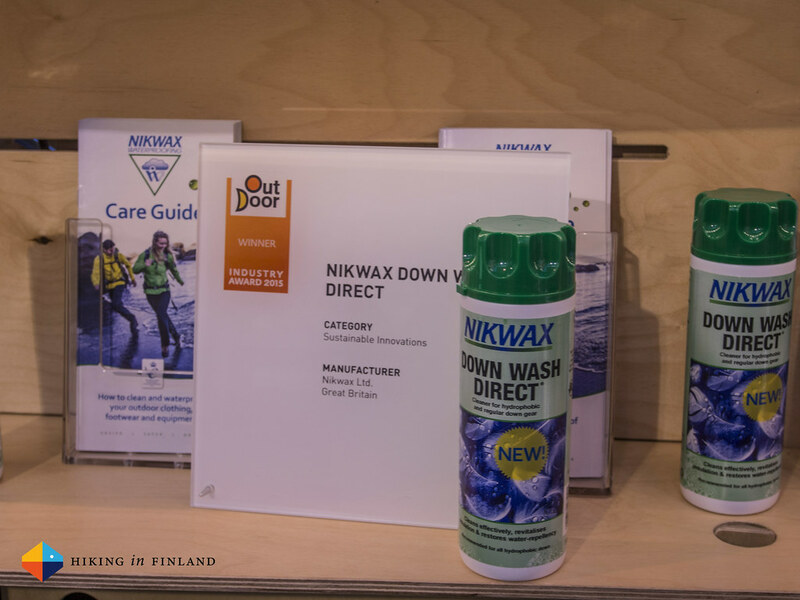 The Nikwax Down Wash Direct is an aftercare product which lets you clean and improve the performance of regular and hydrophobic garments/ quilts/ sleeping bags alike. 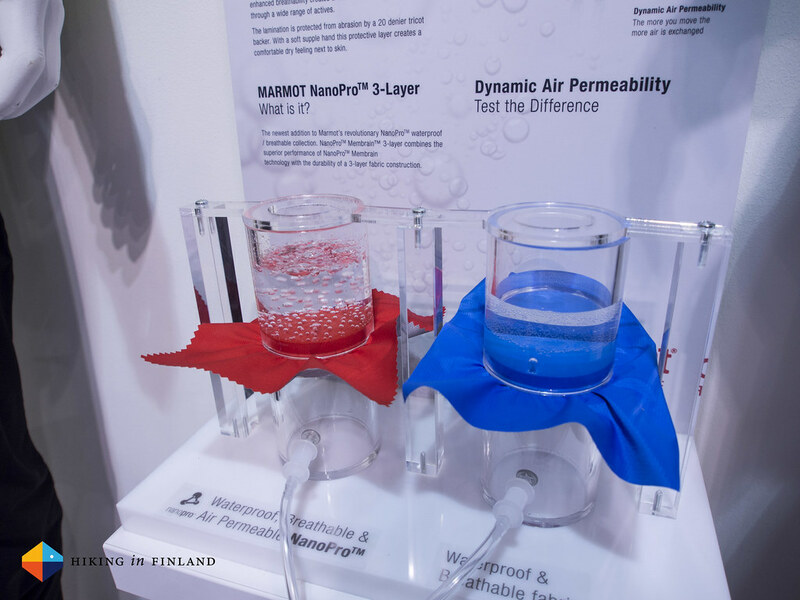 What’s really cool is not just that Down Wash Direct is environmentally friendly but that it makes your down kit hydrophobic, even if it hasn’t been hydrophobic down to begin with. That’s a great way to make your favourite down jacket hydrophobic - both the down and the DWR of the shell. An exciting product that I’m curious to test with some of my down kit and see how it improves performance. 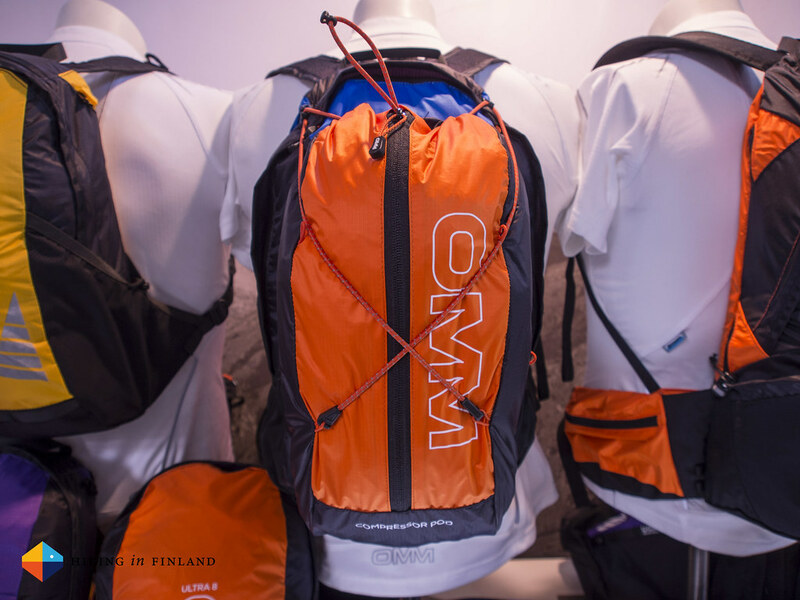 OMM makes sweet kit that makes ultralight backpackers and fell runners alike happy. 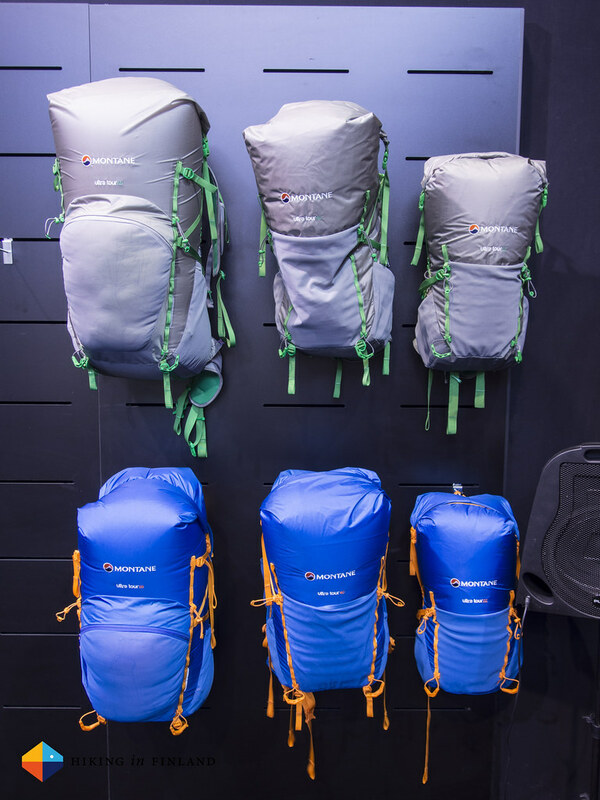 The Phantom 25CL was the highlight, a great pack that would be ideal for a fast & light weekend in the hills or an OMM event. It has a integrated sleeping mat and a carbon suspension system. The back length can be adjusted via an easy system, the stretchy side pockets were super easy to reach and the compression system could be adjusted with the pack on. Tipping the scales at just 400 g the Phantom 25CL is a great pack that works a charm if you go fast. The Ultra 8 is a new pack that will be super affordable and great for training or a SUL overnighter. 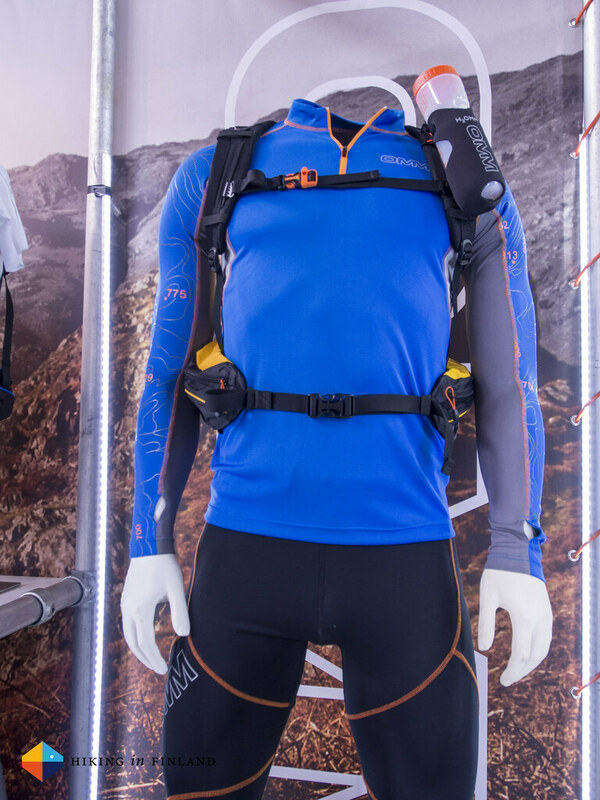 Mesh side pockets, a good carrying system and a 8 l main compartment let you carry all you need for a day out running in the hills. If you need some more space on your existing pack, take a look at the Compressor Pod. 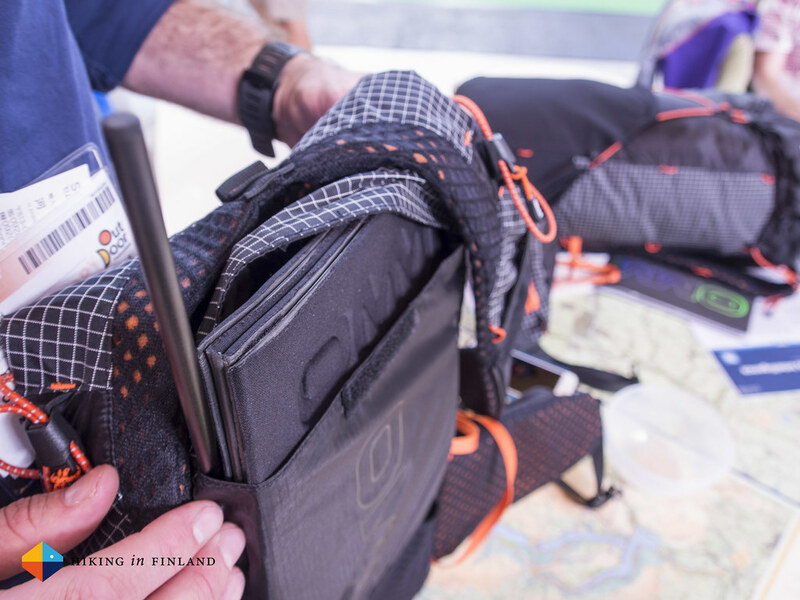 It can work as a UL pack on its own, but it’s designed to be attached to a OMM pack or another pack and gives you more protected carrying space. Finally, the Grid Longsleeve is simply a functional & good-looking longsleeve for runners & outdoor enthusiasts alike. The cool contour lines on the sleeves are a nice detail. 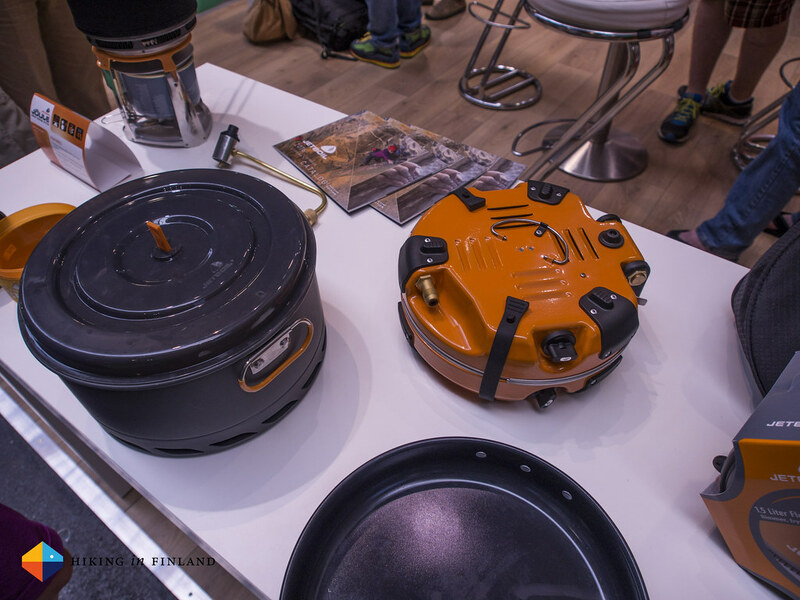 Jetboil had two interesting news on the show: A Basecamp stove and the MicroMo - the successor to the Sol Ti. Lets take a look at the MicroMo first. It weighs 340 g all in and the pot has a volume of 0,8 l. You can store a 100 g cartridge inside the pot with the burner unit and on the outside a cozy lets you handle the pot with its hot content. Burning time for half a litre is supposed to be 2:15 min and it should be less ideal for cooking/ simmering than the MiniMo. The pot et al. is now made from Aluminium, so there should hopefully not be any melting fluxrings anymore. 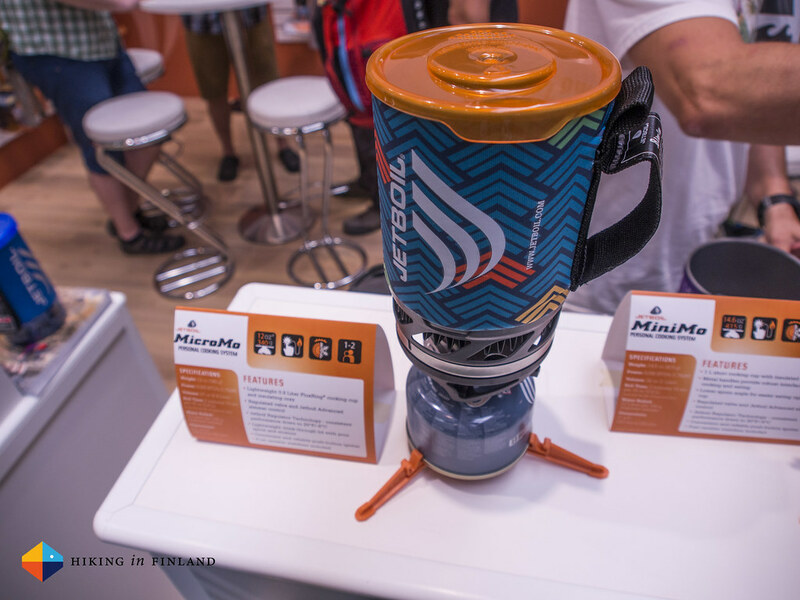 The Genesis on the other hand is found at the opposite side of the spectrum of the MicroMo and weighs 4.100 g. I don’t know how light that is for a basecamp stove, but it sounds pretty good. 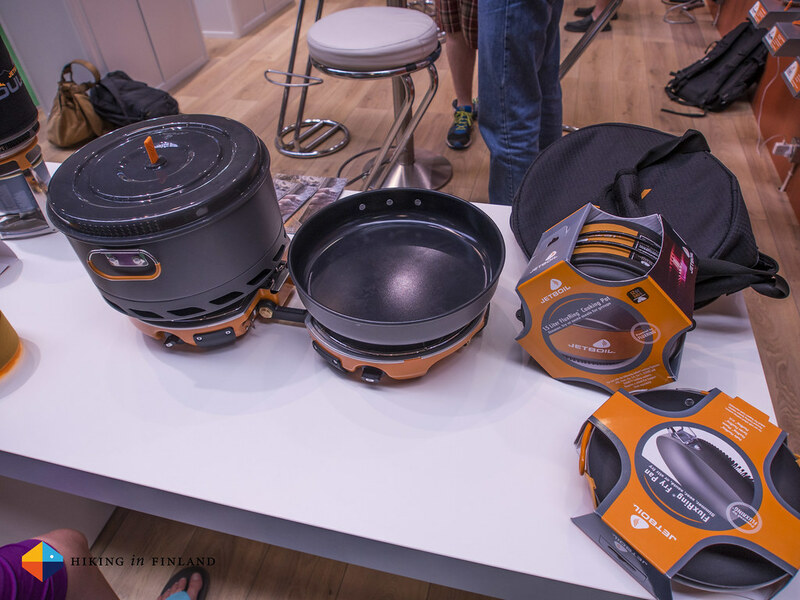 A 5 l pot lets you cook for the team and the pan is ideal for bacon and eggs in the morning. 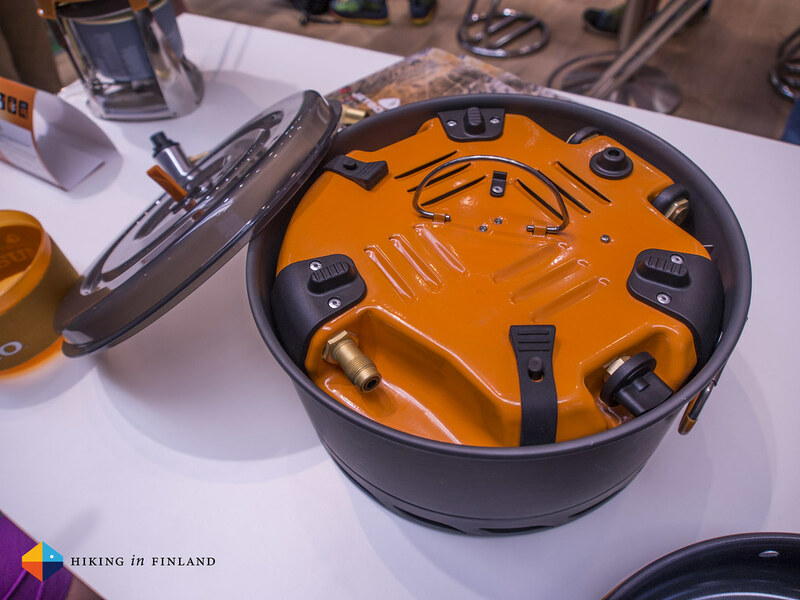 The 2-Burner stove fits inside of the pot with the pan on top. I can see this coming in handy for car camping, glamping and canoe trips, too. You can see a lot more photos in the OutDoor 2015 Flickr Album. And if you liked this follow along on Facebook, Twitter, Instagram and Google+ for more gear & outdoor updates.